I'm having trouble setting up a form that would pickup an organisation that a contact is a member of. I've set my form with 2 contacts, second being the organisation. The field "Existing Contact" is set to static, but when I type in the name of the person, the field doesn't change to list the name of the organisation, it just stay on not found. I'm attaching a screenshot of my setting. 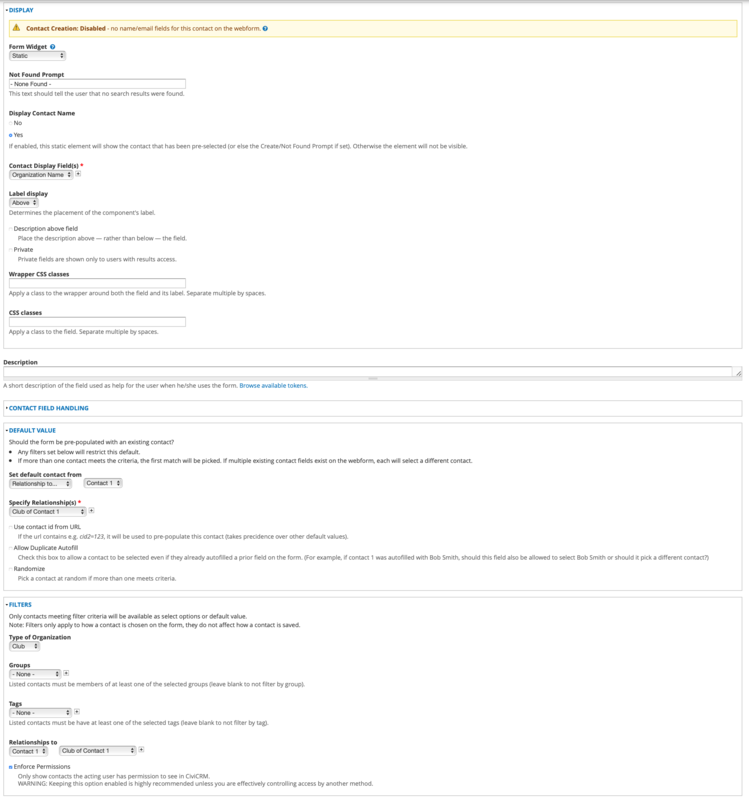 Browse other questions tagged webform-civicrm or ask your own question. Custom drupal contact display fields? How can I automatically advance to the next member of a filtered group upon webform submission?